Hardcover, 6.5 x 8.75 in. / 80 pgs / 11 color / 38 bw. 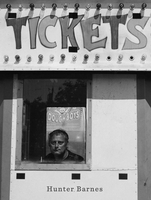 Hunter Barnes: Tickets gives readers a glimpse into the surreal world of the American traveling carnival, a vibrant community most had thought lost half a century ago. The result of documentary photographer Hunter Barnes’ (born 1977) time on the road with the World of Wonder Sideshow, Tickets captures the people and places of the traveling circus’s grittier sibling. The sword swallowers, fire eaters and tattooed ladies are all here, defiant and exuberant, captured in striking portraits. Barnes has long been drawn to documenting aspects of culture and communities ignored or misrepresented by the mainstream American narrative. 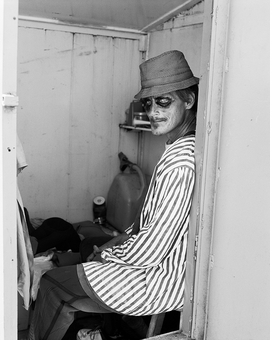 Starting with his first self-published photobook Redneck Roundup, Barnes has always sought out tiny pockets of American subcultural activity: he has photographed bikers, lowriders, street gangs and inmates in California State Prison—working always on film, matching his analogue process to his slow, intensive methodology. There are sword-swallowers, tattooed ladies, jugglers, fire-eaters, tiger tamers, and straitjacket escape artists, but the humanity of the performers is at center. 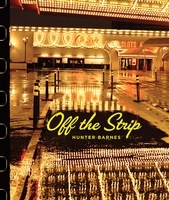 Hunter Barnes reveals the absurd and at times somber lifestyle of those who ran away with the circus. FORMAT: Hbk, 6.5 x 8.75 in. / 80 pgs / 11 color / 38 b&w.